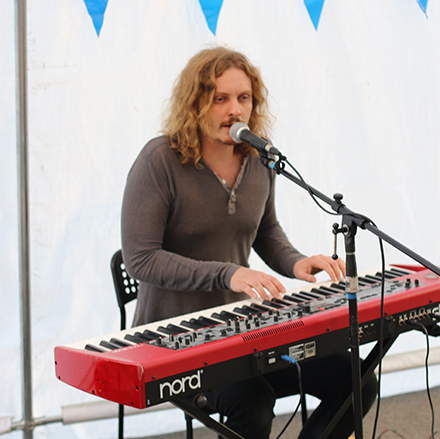 We had a party at Meanwhile House on Wednesday 12th Sept and everyone was welcome! 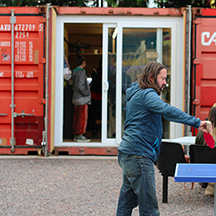 It was an opportunity for creatives working in and around Cardiff to have some fun over beers and pizza. 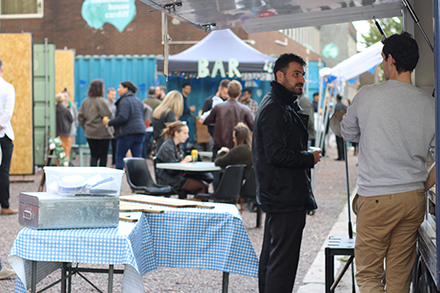 Cardiff has an incredibly rich ecosystem of individual creatives and innovative start-ups, but we all hear so many stories of people working in isolation and not having enough opportunity to meet others, share knowledge and connect. So we a hosted a Meanwhile House Cardiff end of Summer Party, a party that was open to all creatives living and working in Cardiff. It was totally free and was a great excuse for makers, musicians and entrepreneurs from across the city to get together and have some fun. 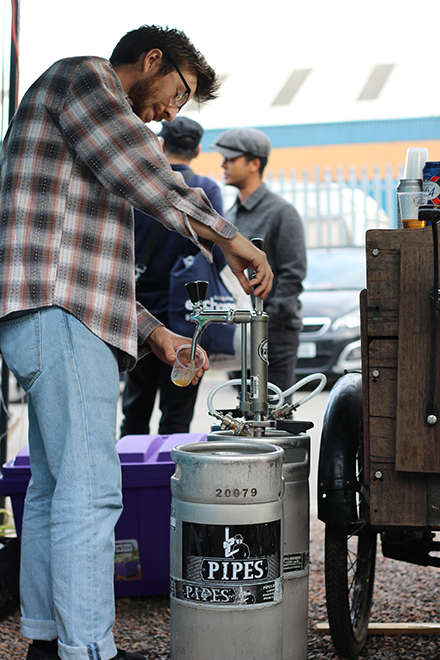 We served up beer from revolutionary Cardiff brewers Pipes. straight from the tap. We created a mini exhibition in one of our Cardiff Containers, showcasing some of what goes on behind closed doors in Meanwhile House Cardiff. 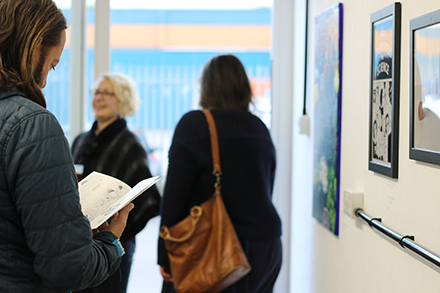 Our Cardiff manager and curator Jack Skivens and Meanwhiler Prith Biant were just two of the artists featured. 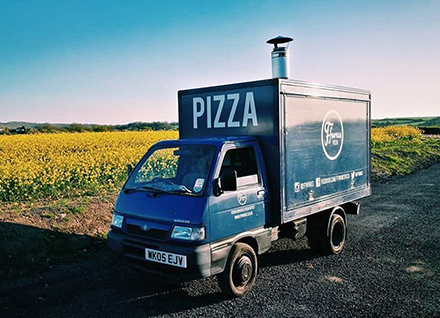 We enjoyed delicious wood-fired pizza from the guys at Ffwrnes Pizza, cooked fresh onsite in their van and served up on platters for all to enjoy. Thank you for coming everyone! We hope to organise another get together very soon. 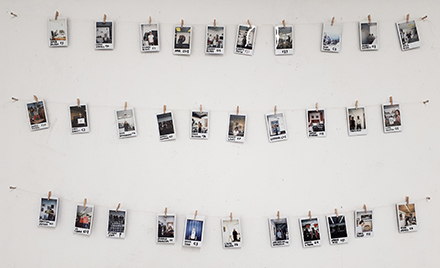 At Meanwhile Creative we take a creative approach to ‘meanwhile’ space. We can find flexible, affordable and practical workspace for your project whether this be office space, studio space or even desk space. We have something for everyone!